TEN’s Chief Content Officer Beverley McGarvey is upbeat, having coming off the back of a successful Big Bash League season. I’m A Celebrity Get Me Out of Here enjoyed a healthy launch, especially against formidable Australian Open numbers. Now the job is for the show to hold its own in a tighter reality battle. Thankfully, Celebrity offers humour its competition does not. 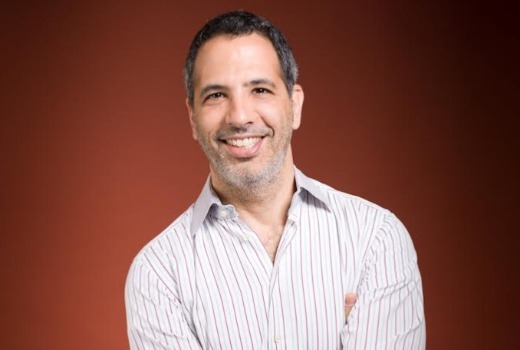 “This year’s cast are very interesting, with diverse ages and backgrounds. So we’re hoping for lots of different stories and of course we have the consistency of Chris and Julia who get better and better every year,” she explains. “The comedy and family entertainment they bring is something that’s really important to us, because what we’re offering is a very firmly-positioned family entertainment show at 7:30. It’s something you can sit down and watch with your kids, or anyone. That’s really important to us. “It’s also Year 3 and these big franchises get a little bit better because you learn from Year 1 & 2, taking things on board and tweaking things. “There will be bigger challenges but there will also be funnier challenges. There is more complexity in terms of how many participants take part. “This season also uses more ‘hero locations’ outside the camp, but TEN has decided against an additional add-on show which was offered last year on ELEVEN. McGarvey also hints that the length of the season is also not quite the same as in 2016. “Roughly, but not exactly….” she teases. 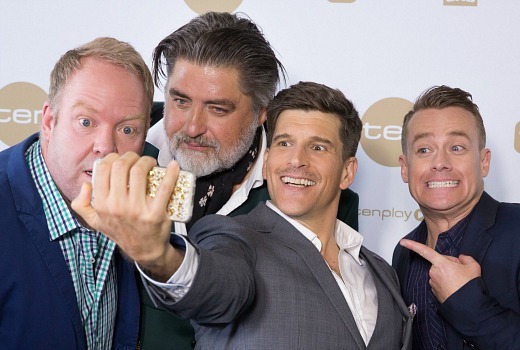 This year TEN has scheduled a full year of 7:30 reality franchises. “We have Celebrity, Loser, MasterChef, Survivor, Bachelor, Bachelorette, so it’s quite exciting for us to be able go through the whole year in that fashion. 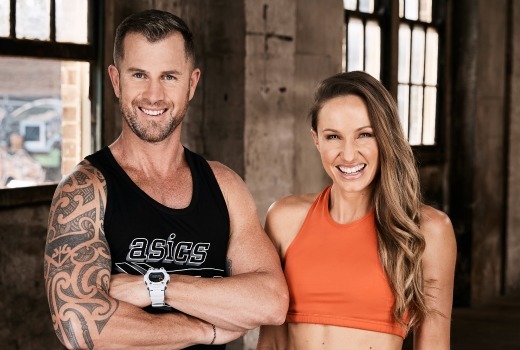 The Biggest Loser: Transformed fills a vacant gap between Celebrity and Masterchef, and shifts focus from extreme weight loss to a more broadly-appealing show. “It’s a much more energetic, positive, accessible show with lots of take-out tips and really engaging characters,” she continues. “The people are more relatable to everyday Australians. People more in the mid-range of needing to lose weight as opposed to people at the extreme end –not for any other reason that it’s just more accessible to the broad population. A lot of people want to lose 10kgs but not everybody wants to lose 100kgs. “It’s got relatable stories, people who want to fit in their wedding dress, or lose their baby weight, wants to lose that ‘dad bod’ and get back in shape, or an ex-athlete who has lost their physique over the years because life got in the way. The characters we have are fascinating. Trainers Shannan Ponton and Libby Babet will be joined by Fiona Falkiner, with the show moving beyond weight loss to healthy living and maintenance. But those giant Loser scales are still there, at least initially. Tonight hit US series This is Us premieres. One of the few breakout hits of the US Fall season, it has already been renewed for second and third seasons. “If you don’t cry when you watch the episode, you’re heartless! I’ve seen grown men cry watching this pilot,” she insists. “The beauty of it is it’s kind of old school. It’s about character, it’s about story. Nobody gets shot, there’s no explosions, no tricked-up noisiness about it. It’s a very clever way to tell multi-generational, family stories. MasterChef Australia returns for its 9th season, and has still been able to uncover talented amateur cooks. “MasterChef casting this year has been fantastic. It’s really surprising that we can continue to cast amazing cooks. I think there’s a lot of talent and some of them are very young, to the degree that we’re now at the point in the MasterChef cycle that some of the contestant have literally been watching it since they were 10. So they’ve kind of grown up with the show and now they’re in it!” she says. With his own Seven series, Marco Pierre White is not returning, but “The master of Middle Eastern cuisine, Yotam Ottolenghi” is one of several new faces. “I have friends who get off the plane in Heathrow and the first thing they do is go to Yotam’s!” she declares. “For foodie people he is a huge get and for non-foodie people there is the discovery, and our audience like that. “Marco was spectacularly-good for MasterChef, he’s such an interesting, highly-regarded chef and amazing TV talent. But we’ve used Marco on MasterChef for quite a long time now. Obviously we wouldn’t have any problem continuing to use Marco, but he’s chosen to do something else. McGarvey also reveals some highlights from the upcoming season before a precious executive producer can stop her. “They’ll kill me for saying this but one of the Dessert challenges this year is probably the most spectacular Dessert challenges that I’ve ever seen on MasterChef. So for them to deliver that at this point in the show’s cycle is really incredible,” she explains. “We will be in Melbourne for a lot of it but we will also be getting out and about in Australia more. Casting is underway on the Bachelor / Bachelorette franchises but she isn’t giving much away on which singles have been locked in. “We’ve settled on one, but not the other,” McGarvey admits. On the question of last year’s Bachelorette not matching numbers of previous shows, McGarvey is pragmatic. “Georgia Love was a fabulous Bachelorette and the boys were great,” she notes. “But in all other markets The Bachelorette does a little bit less (than The Bachelor). “But Sam Frost had such a phenomenal backstory, so our first Bachelorette was almost an anomaly. I think it will always do well, but to expect Bachelorette to do better than Bachelor…. at best they will be on parity. So to be honest we were pretty happy with where it landed. Or are the numbers affected by back to back seasons? There are two schools of thought, with no right answer. “It may need breath between them, but it also may be true that one fuels the other. Survivor Australia was a new reality hit for TEN defying doubts about extended episodes messing with a trusted brand. But there were considerations the network had to juggle. “We learned a lot about what Australian viewers were looking for, versus the US version,” McGarvey explains. 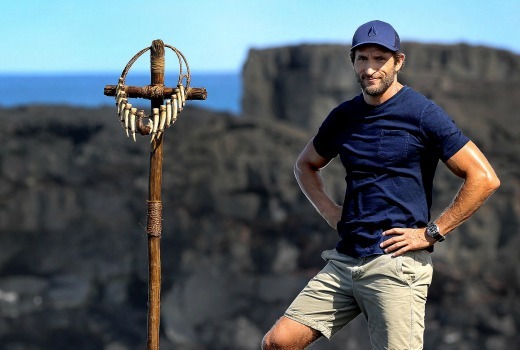 “The other thing is fanatics really understood how the format worked, but we also had a group of people who were coming to Survivor for the first time, saying ‘What’s this Immunity Idol people are talking about?’ So we had to navigate the show for those people and set up the flags for them, whilst not talking-down to the very committed viewers. “Now people understand the architecture of the show it allows us a bit more flexibility building the twists and turns into (season 2). We’re just sorting that out at the minute. So will the show move to a new island location in 2017? TEN is also considering revamping the finale into an event now the show has a proven fan base. “Those bells and whistles are a big leap of faith for Year 1 so we’re looking at all of that now. TEN’s drama slate skews decidedly female, although not exclusively, with Offspring back for its seventh season. “Not many Australian dramas get to Year 6 so we were very happy with the quality of the show,” she boasts. It will be joined by season two of The Wrong Girl which, despite good reviews, struggled against heated competition. “We were very disappointed that it didn’t get more air, but very happy with the show,” she reveals. “The programming will be the thing that makes a real difference to its numbers this year. We want to be consistent for our viewers and they know we do drama in that slot, but at the same time if someone else is going to put their dramas there we will have to consider making moves. 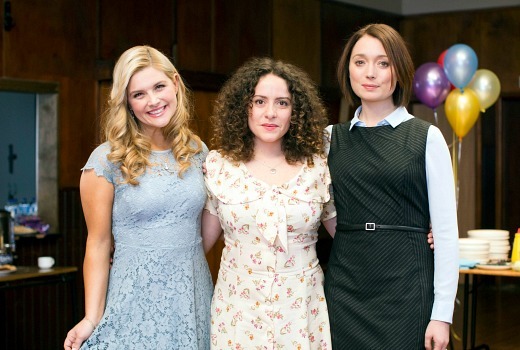 Feel-good family drama Sisters comes from the makers of Offspring, looking at siblings finding family links. Despite its gender title, McGarvey assures there will be something for everyone. Men will surely be intrigued by the rebooting of classic outback Aussie film Wake in Fright as a thriller miniseries. “Wake in Fright is more of a psychological thriller,” McGarvey outlines. 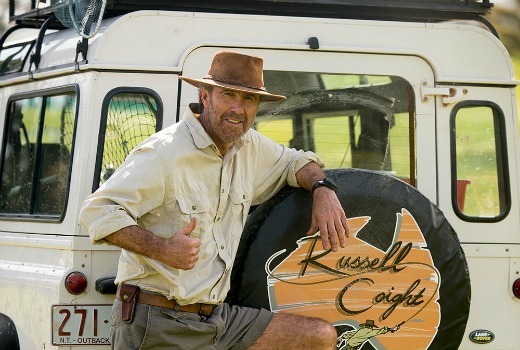 There is also lighter fare with Russell Coight (Glenn Robbins) returning in his own outback adventures. It’s one show that has plenty of buzz. “It’s visual comedy with a known and loved brand, and it’s something the whole family can watch, which is so important to us. There’s not much half hour comedy on commercial TV, especially something in early evening, that you can put your kids in front of,” she says. Have You Been Paying Attention, Shark Tank, Family Feud, Studio 10, Bondi Rescue, The Living Room, The Project are also back. Gogglebox will be complemented by an office-based opinion show, Common Sense, also screening on Foxtel. Long Lost Family, Territory Cops and Gold Coast Cops are not returning this year but TEN hasn’t closed the book on another title. On the international front there is also 24: Legacy, the NCIS franchise, Law & Order: SVU, The Graham Norton Show, Homeland, Bull, Man with a Plan, Doubt, Modern Family, Law & Order: SVU, Madam Secretary and Life In Pieces. It is great that they are recognising the dearth of family-friendly tv in prime time. However, much of the reality shows are borderline appropriate for pre-teens/primary age. Celebrity has a lot of sexual innuendo, and there are hidden messages in shows like Loser that need to be interpreted for kids, and even teens. I would love to see them bring back comedy shows such as Thank God you’re Here or Slideshow, for almost completely family-friendly fare. When she says “revamping the [Survivor] finale into an event”, is she hinting it will be live? Last year’s was spoiled by the very one sided betting odds, which indicates the result got leaked by insiders or crew (or worse, they were the ones betting on it, shortening her odds enough to start a run on her). Whilst I was happy with the outcome, I’d rather not have known weeks in advance. I am excited for Aus Survivor 2017, but I am slightily bumbed about the fact that Samoa is the likely location for the season. I understand why (they can use already established Infrastructure and contacts to lower costs) and while it isn’t a huge deal, it would have been nice to mix it up and go to a different location. Any talk of Channel 10 buying US Survivor off 9? I wouldn’t mind seeing this happen. 10 could air US Survivor on 11 fastracked and align the Aus Survivor season with the US Survivor off season. A lot of reality this year in 2017 this year for Ten. I think that TBL should air in Q4 as they don’t want to clash with MCA. Great work on these programmers wraps David, but really, all it’s doing is highlighting how unadventurous our FTA networks are. TEN have the most to lose, but are stripping reality all year, meaning those of us over this genre have no reason to watch. You don’t improve by doing the same thing over and over and calling rehashes of 15 year old properties ‘bold programming’. With Reno, cooking, dating and talent shows running their course, why aren’t the networks trying something new? The only exception being Stan, which looks like it’s got a very decent year ahead in terms of content. A great read- I think ch 10 offers more great and entertaining shows than the other networks- I honestly find myself watching more ch 10 these days than others & nine here and there- hardly tune to 7. No major Winter sport of course is a huge void. With that lineup it seems like 10 is happy to remain at number 3, but then again I suppose it’s all about the demos. MasterChef of course always gives it a lift. Still puzzled why they waste Neighbours when Home and Away always does well for 7. I guess the problem is having the News so early. When is Russell Coight expected to premiere? The new trailer that “leaked” on Facebook yesterday looked fantastic! Is Bodyhack coming back? Great show! Ony if Todd Sampson survives Life on the Line.